My first nightmare this week came on Sunday night. The rockets had already started raining down (even more than usual) on my brothers and sisters in southern Israel, but had not yet reached the Merkaz (center region of Israel). Regardless of the fact that the terrorists had not yet decided to extend their expressions of love in the form of concrete, metal and explosives to the center and north of Israel, I knew from previous experience that it was only a matter of time until it happened. Additionally, the nightmares were triggered by the trauma which is ever present in the lives of the citizens of the south. I have visited the south before and received a clear lesson from a 4-5 year old boy on where the closest bomb shelter is and how it is important to never be more than 15 seconds from the closest one. As a result the boy explained that the park which is bigger and better is off limits because it is a 20 second run to the closest makeshift bomb shelter. While I was losing sleep at that time, I couldn’t imagine what the lives of people who are actually suffering the daily barrages of 60 plus rockets were like. Then it happened. The center of Israel came under fire. On my way back from Jerusalem on Tuesday night, I missed the 9:20 pm bus by about two minutes. The 9:40 didn’t show up, and when the passenger-filled 10:00 bus tried pulling out of the bus station at 9:59, we were stopped along with all other buses. Hamas decided that the time had come to send multiple long range missiles towards Jerusalem, Tel Aviv and as far north as they could reach. Thank God we were not on the open roads. When I got off the bus, and started walking home, I prayed that if rockets would fall from the sky, it would only happen after I passed the open stretch of highway where I would be a sitting duck for any weapon of death. There were a few loud booms in the distance but thankfully nothing close enough to sound the air raid siren (tzeva adom/color red) in my area. This morning was different. After working really late last night and getting to bed even later, a rude awakening awaited me at 7:57 am. The siren sounded and we all rushed out of the apartment and into the stairwell and waited. One of the most important things I have taken from these past few days is the support, love and immeasurable resilience of the nation of Israel. My friends have been posting the serious news along with sarcastic posts such as “literally caught with my pants down”, referring to being in the bathroom when the air raid siren sounded. When I posted that I was stuck in the central bus station in Jerusalem, I immediately received offers to have my cab paid for and a safe, warm bed to sleep in just outside Jerusalem. Another offer immediately came for someone to come pick me up in their car and host me for as long as I needed. Today I was ironically offered a safe haven by a friend currently living in Germany. Oh the irony. This is the most important lesson. In times of tension and real stress, we need to think about the other. My friend is helping run a drive to bring toys to children in the south, shabbos food to families there, and cards, board games and socks and underwear to the soldiers in the south. I feel blessed to be receiving phone calls, texts, whatsapps, Facebook messages, prayers and I’m sure plenty of other unwritten messages asking to make sure that everything is okay, that I’m safe. We must never become like our enemies who call for the use of human shields and instead, continue to shield our humans. We must continue to invest in the advancement of the amazing systems we have which have succeeded in protecting us thus far and remember that it all comes from above. There is no epiphany here in my words, only something we all know but often need reminding of. We are our own best friends. We must continue to stand strong by supporting each other so we can be strong enough to support our troops so they can then be strong enough to accomplish their mission of putting an end to the terror in Israel, once and for all. May we all be blessed with a quiet, safe and maybe, just maybe, a relaxing shabbos. 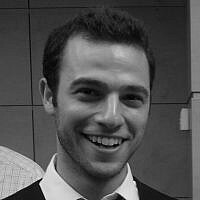 Chaim Seligman is a Law student at Bar-Ilan University, President of the BIU Model UN Society and works in the University’s External Relations Department; Originally from Florida, Chaim now lives in the Merkaz and enjoys life as a student in the Jewish Homeland; Chaim’s true passions are Israel and the Jewish Nation’s eternal success.